Grace permeates Galatians! The idea that there is no other gospel but that of Christ and him crucified is what Paul reiterates over and again throughout this book. At youth group we’ve embarked on a six week study of Galatians and last week we began by exploring some of the ways we try and add to the gospel. For instance, reading our bibles, spending time in prayer and getting to church regularly are all good things and gifts that God has given us in order to be more conformed to the image of his Son. However, as some of our senior boys discussed in our small group time, we begin to feel as if we may not really be saved, or are somehow unloved by God when we slack in these areas. Do we act as if our salvation is dependent on something we do? We begin to trust in our own efforts and thus in a different gospel. This is Paul’s nightmare. “I am astonished that you are so quickly deserting him who called you in the grace of Christ and are turning to a different gospel.” (Gal. 1:6) We finished the night by praying together that God would continually reorient our focus towards Jesus’ work at the cross. Even as I prepare to teach and continue to study this book I constantly have to preach the gospel to myself, “Your value, your worth, your identity, your adoption unto our Father is all based on Christ”. I hope we can all find rest in this. We want to work for it so badly! Just like our first parents in the garden, we attempt to cover our shame with our own effort or “fig leaves” in the case of Adam and Eve. (Gen. 3:7) But we know it doesn’t work and so does God. That’s why he provides the sacrifice himself and covers us by the blood of the Lamb. (Gen. 3:21) This is the gospel that Paul is eager to protect in his letter. Judaizers had begun teaching the Christians in Galatia that Jewish tradition and Old testament laws were needed in addition to Christ for salvation. Paul’s gospel, he tells us, was revealed to him from Christ directly and its all grace! (Gal. 1:11-12) We find the same gospel in the first few pages of scripture; Man falls, tries to remedy the situation on his own, fails, and then is covered by God himself. Man! I’m praying for us at Redeemer to be ruthlessly committed to the gospel as Paul was. Fight alongside our students and I. Let us never add to the gospel in our own lives and let that be the fuel we need to have grace towards others knowing that it is on the sole basis of Christ’s sacrifice that we are called sons and daughters. 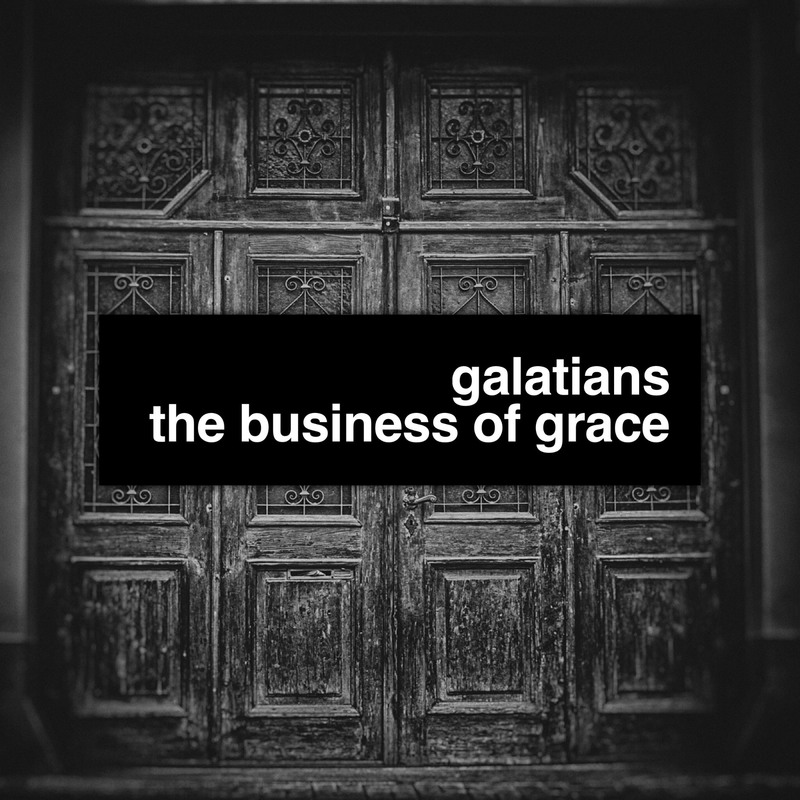 This Wednesday we will open up Galatians 2 at youth group. Join me in praying for our students and leaders. We’re asking God to increase our faith and continue to reveal to us the things we revert back to as if Christ hadn’t paid our debt in full.